The Entel intrinsically safe radios are built without compromise to deliver loud and crisp audio using the latest compander noise reduction technology. Uniquely able to withstand total immersion in water to a depth of five metres for one hour, Entel’s intrinsically safe radios are therefore extremely resistant to corrosion, more than a match for the likely hazards encountered in any field of operation. Rating for tough enduring performance the Entel intrinsically safe radios are designed to withstand shock, vibration, dust and moisture, ensuring many years of trouble free use in the most hostile environments. We recommend that you check before purchasing. We are pleased to now able to supply Intrinsically Safe Portable Radios fully compliant with IEC 60079-0 : 2004 Edition 4.0 and IEC 60079-11 : 2006 Edition 5. This IEC Standard is directly equivalent to AS/NZS 60079. Other standards often referred to by other suppliers such as Factory Mutual Research Corporation, (FM), Canadian Standards Association, (CSA), Mine Safety and Health Administration, (MSHA), and or CENLEC, and Atmospheres Explosives (ATEX), may not be compliant with the requirements of the Australian and New Zealand Standard. Initially only available in the UHF Band, these radios are fully compliant with the current AS/NZS 60079-0 and -11, with Two Frequency ranges available in 403 – 470 Mhz and 450 – 520 Mhz. 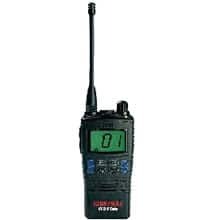 VHF Band devices are also available.